Journalists and members of the public are to be given greater access to the Court of Protection, where issues affecting sick or vulnerable people are heard - under a new pilot scheme. The specialist court makes decisions on the welfare and affairs of those who lack the capacity to do so themselves. With rare exceptions, hearings are made privately with those involved present. But officials said the pilot would provide "greater transparency", while protecting people with anonymity. The decision follows an earlier scheme to give journalists greater access to family court hearings. Most Court of Protection cases are heard before only those directly involved, although judges sit in public when they consider issues relating to serious medical treatment. Judges can also make orders preventing the identities of those involved in the cases from being revealed. The Court of Protection's main base is in London but it also sits throughout England and Wales. The pilot - expected to run in all regions from January 2016 for six months - means members of the public and journalists will be able to attend the majority of hearings in the court. Officials also said hearings would be listed with short descriptions to give people an idea of what cases are about. 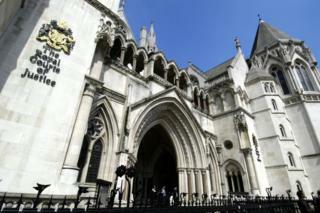 Leading judicial figures said they supported the move. Sir James Munby, president of the Court of Protection and president of the family division of the High Court, said: "It is logical to look at extending this greater transparency to the Court of Protection, provided the right balance can be struck to safeguard the privacy of people who lack capacity to make their own decisions. "For the last six years, accredited media have been able to attend family court cases and have been better informed about the work of the family court as a result." Justice minister Caroline Dinenage said: "I'm pleased that we are piloting a new, more open, more transparent Court of Protection. "It's right the public and the media should be able to see justice being done in this important court, while protecting the privacy of the people involved." Mr Justice Charles, vice-president of the Court of Protection, said he hoped the pilot would promote a wider understanding of the work in the court. He said: "I am aware that others hold different views on whether hearings should generally be in public and hope that the pilot will provide useful evidence to weigh the rival arguments."